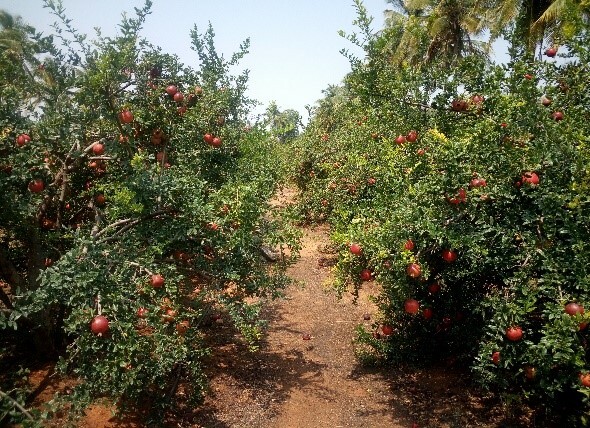 Mr. Sundaram, K., a progressive farmer of Aranakatte Village, Hiriyur Taluk, Chitradurga District, Karnataka State is cultivating pomegranate on 16 acres. Three years ago, his orchard was severely affected by bacterial blight and he had considered uprooting the trees. During this crucial period, he came into contact with M/s Gayatri Hasiru Uddime, Ramnagara District, Karnataka, who had licensed the Arka Microbial Consortium (AMC) technology from ICAR-IIHR. 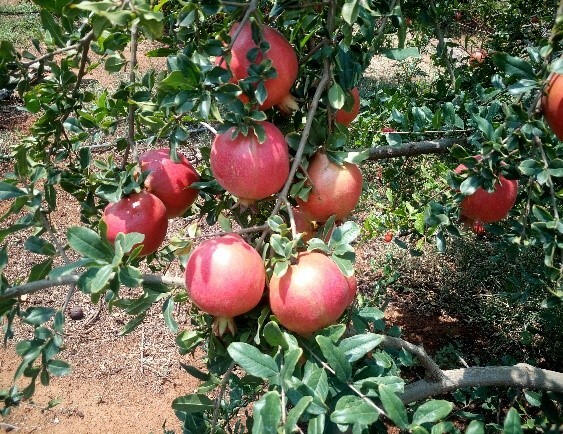 On the advice of the firm he had taken up spraying of the liquid formulation of Arka Microbial Consortium @ 1.5 litre / 200 litres of water, on the pomegranate trees at fortnightly intervals. Gradually he observed the recovery of the disease affected trees and continued with the practice for the past three years. He continues to spray the liquid formulation at fortnightly intervals round the year irrespective of the appearance or absence of the bacterial blight symptoms. By adopting this practice, he has been able to effectively manage bacterial blight in his orchard over the three-year period and presently the symptoms of bacterial blight are virtually nonexistent in the twigs, leaves and fruits, while the old scars of the disease are evident in the main stem of the trees. 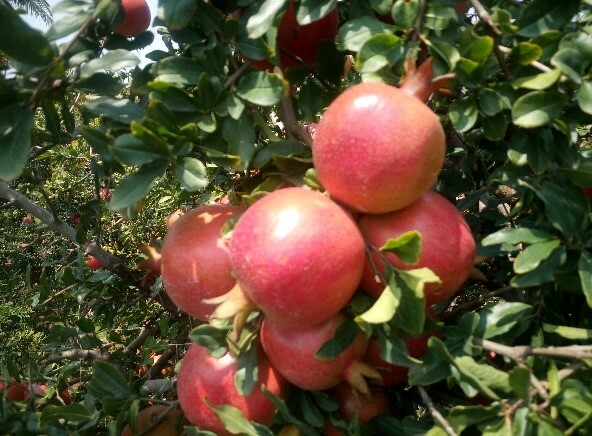 His trees appear healthy and yield up to 70-80 kg /tree. According to Mr.Sundaram, K., he has been incurring a cost of Rs. 30-35 per plant/ year for the year round spraying of AMC, which is much lower than the cost of chemical management that normally costs around Rs.350- 500/plant /year. 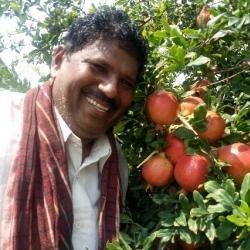 This year he is expecting to harvest 80 tonnes of premium quality fruits from the orchard, that is much in demand in retail outlets in metros.